See-Dub: Love, love, love Lovett. 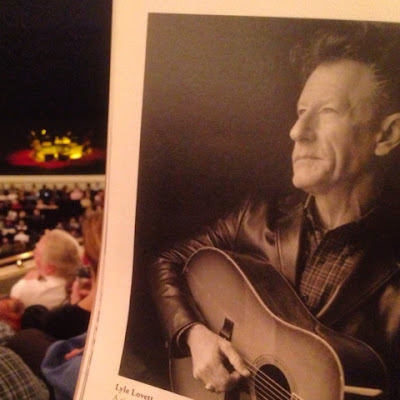 Tonight my sister-in-law Kelly and I were privileged to hear Lyle Lovett and John Hiatt in concert at the Bass Hall. My love for Lyle is no secret (Exhibit A: this post and Exhibit B: this other post). After a long, sad, Lyle-free spell when Ryan and Katie were little, I promised myself that I would find a way to get to Bass Hall anytime he appeared there if at all possible. Turns out it wasn't possible when Lyle brought his Large Band to town in August (just happened to be the day we moved Ryan to Austin), but this concert only a few months later was just the ticket to assuage my Lyle withdrawals. TBH, as youngsters would say, I was a little bummed that this time, he was here for a special performance with someone else. Lyle shared the stage with another singer/songwriter, and I was apprehensive to know that half of my precious concert time would go to The Guy Who's Not Lyle. Several years ago, Kelly and I saw Lyle with his former college buddy, Robert Earl Keen, and that performance was fantastic. 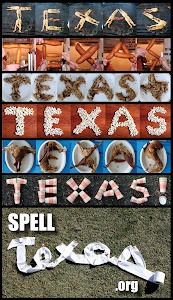 I was hoping this one would follow suit, and sure enough, it did! John Hiatt is an incredible singer, guitarist, harmonica player and whistler (yes!) who writes down-in-your-soul blues. The two-person format allowed for plenty of banter, too. Lyle and John are just funny people, which made the casual give-and-take, back-and-forth work. I could listen to Lyle tell stories forever. Of course, we weren't there just for the stories. As I sat there in the mezzanine during Lyle's first song ("Brown Eyed Handsome Man"), I caught myself taking really deep breaths, as if I could inhale that gorgeous sound. Looking back at that 2008 "Lovin' Lyle" post, I see that "breathing in" Lyle's music is not a new metaphor. Of course I love his humor and his witty lyrics, but there's just something about his voice, the way its jagged edges help each note take root in my soul. It seems like I have teared up at some point during every Lyle concert I've seen in the last five years or so, certainly since my mom died. Sometimes it's because a particular song reminds me of Austin and the forever friends who shared with me those first Lyle Paramount shows. Other times it's been simply the resonance of Lyle's voice that comforts me into a let-it-out state. Tonight, though, it was Lyle's story about driving around with his parents in their old car. Like me, Lyle was an only child. Before the song even started, he had me with his description of sitting between his parents in the front seat of their old car. The front seat part doesn't really apply to me, but oh, how many times did I abandon the back seat to sit on the floorboard hump, my arms propped on my parents' big bench seat! When Lyle mentioned singing with his folks, I was transported to our family's Caprice Classic, passing mile after mile between my own parents, learning the alto part to all the best hymns. They literally don't make cars like they used to, but what I would give to recreate that all-too-familiar floorboard posture, to feel the cold air from the front vents that Mama would point towards me, to cringe when Daddy reached for the radio to change the station to AM talk radio.